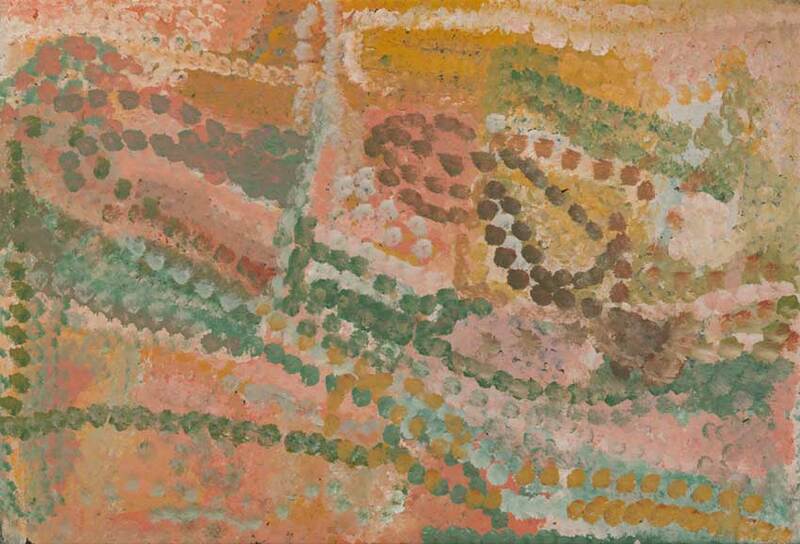 The exhibition aims to celebrate the divine use of dots by Australian Aboriginal artists. “It honors the unique method of layering and the shimmering presence of dots throughout the whole of each canvas by the true inventors of this now praised artistic style. As Aboriginal art further secures its place as a significant movement in the international art world, it is undeniable that non-indigenous artists from around the globe will find inspiration within these prized works," writes the gallery. The exhibition seeks to remind viewers of the cultural narrative that celebrates the presence of the dot and acknowledges the genius of its use by its originators. Australian Aboriginals have the oldest continuous culture on the planet. The rise of contemporary Australian Aboriginal art was described by art critic and writer Robert Hughes, as "the last great art movement of the twentieth century.” While the works are considered contemporary, their practice comes from a cultural awareness and sacred knowledge that remains preserved by artists, including those on view in this show. Olsen Gruin is a contemporary art gallery situated within the heart of New York's Lower East Side. It is a partnership between leading Sydney art dealer Tim Olsen and New York gallerists Emerald and Adrian Gruin. The gallery has been showcasing contemporary artists from all around the world through a series of solo and group exhibitions. One of their first successful exhibitions “ON ELIZABETH” featured the multinational artists Koak, Leo Gabin, Folkert, De Jong and Mike Bouchet. The gallery hosts a series of exhibitions every year and has expanded itself to various parts of the world including New York. The exhibition will be on view through July 8, 2018, at Olsen Gruin, 30 Orchard St, New York, NY 10002, USA.